Non-ferrous stainless steel construction including front, top, sides and valve control panel. ciency & cooler exterior surfaces. 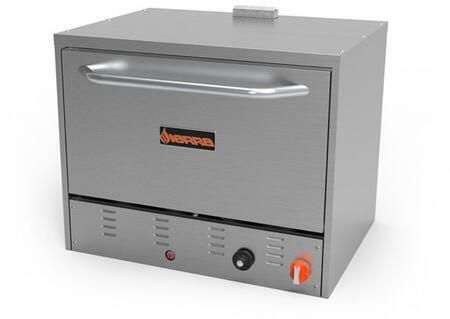 Each oven comes with 2 hearth decks adjustable to 3 positions with 2-3/4" between positions. ff, automatic standing pilot and brass burner valves. Cook directly on the deck or with pans or screens. Hearth decks can be replaced with wire racks. 4" stainless steel adjustable legs included with every unit. The SRPO series gas ovens are shipped ready for natural gas installation. An LP conversion kit is included with each unit. 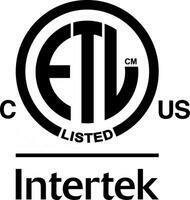 The ETL Mark is proof of product compliance to North American safety standards. Authorities Having Jurisdiction(AHJs) and code officials across the US and Canada accept the ETL Listed Mark as proof of product compliance to published industry standards. As per MVP/Sierra that depends on the local code. Please check locally for the information.